CHICAGO, June 14, 2016 /PRNewswire/ -- Just in time for warmer weather, get ready for this summer's most sought-after drink that embraces the healthy lifestyle with the launch of White Claw Hard Seltzer. White Claw Hard Seltzer brings the simplicity that is seltzer water, along with a spike of alcohol and a hint of natural fruit flavor, to create a refreshing low calorie seltzer drink with no artificial ingredients. White Claw Hard Seltzer is an all new type of alcohol refreshment: made with an all-natural, low carb, gluten-free sparkling seltzer water with 5% alcohol and just a hint of fruit. The spiked sparkling water is available in three minimally sweet flavors with zero aftertaste: White Claw Natural Lime, White Claw Black Cherry and White Claw Ruby Grapefruit. Just in time for summer, White Claw Hard Seltzer is the perfect drink for those that like to have good, clean fun and live an active lifestyle. It brings the simplicity that is seltzer water, along with a spike of alcohol and a hint of natural fruit flavor, to create a refreshing seltzer low calorie seltzer drink with no artificial ingredients. Crafted with simple and pure sparkling water, it's a brand new kind of alcoholic refreshment that is more relevant than ever given today's healthier lifestyles and choices. White Claw Hard Seltzer makes it possible for health-conscious drinkers to enjoy a convenient and refreshing alcoholic beverage they can feel good about. At only 110 calories, White Claw Hard Seltzer is all-natural, low carb and gluten-free. Each refreshing flavor of White Claw is naturally sweetened with a touch of pure cane sugar and free of artificial ingredients, high fructose corn syrup, or crystalline fructose. 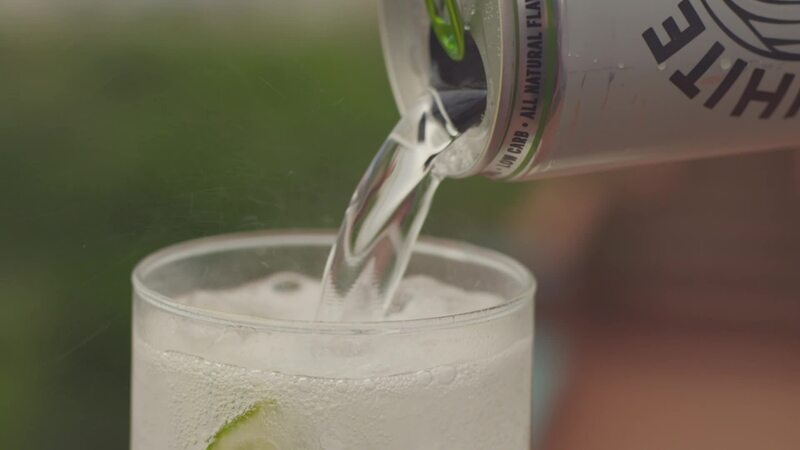 "Alcoholic beverages and healthy alternatives don't always go hand-in-hand but White Claw fuses convenience, refreshment and subtle flavor to deliver a drink that's considerably lighter than a cocktail or beer," said Sanjiv Gajiwala, vice president of marketing, White Claw Hard Seltzer. "Serving as a step away from high-sugar sodas and mixers, White Claw is a shift into a lighter, all natural, better-for-you alcoholic beverage – defining a whole new category for those who want to enjoy life and have fun while maintaining a healthy lifestyle." Natural Lime – Similar to the crispness of a vodka + soda, natural lime delivers the ultimate refreshment to quench your thirst on a hot summer day without the hassle of mixing your own drink. Black Cherry – Just as black cherries thrive in sunlight, the pre-mixed seltzer with all natural black cherry flavors comes in a convenient can that can be cracked open wherever the outdoors may take you. Ruby Grapefruit – The tart and tangy natural flavors packs a punch of antioxidants making White Claw a refreshing post-Yoga sip. The newest product line from Mark Anthony Brands gives consumers the popular mixed drink taste they love with the added convenience of a pre-mixed 12 oz. can – available in a 6-pack with a retail price of $9.99 at grocery and liquor stores nationwide. To find White Claw Hard Seltzer near you, please visit www.whiteclaw.com or learn more at @whiteclaw on Instagram.